of the family of Piran. He was also called Jeay Shah or Jiay Shah He was born in AD 1492 and spent his youth studying religion in Baghdad. He lived for some time in Bulri in Lower Sindh, but finally settled in Sukkur where he remained until his death in AD 1617. 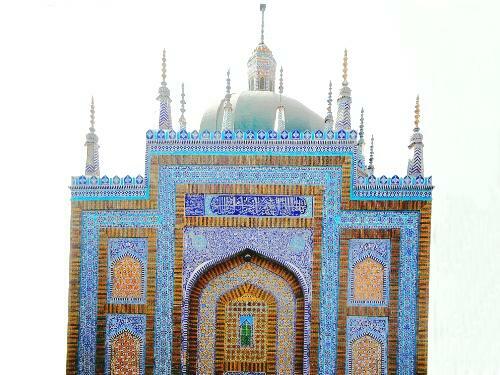 He became the founder of a spiritual dynasty; one of his successors, Mian Ghulam Mohammad, built this mausoleum in 1670. Houses of his descendants, or Pirzadas, surround the mausoleum.